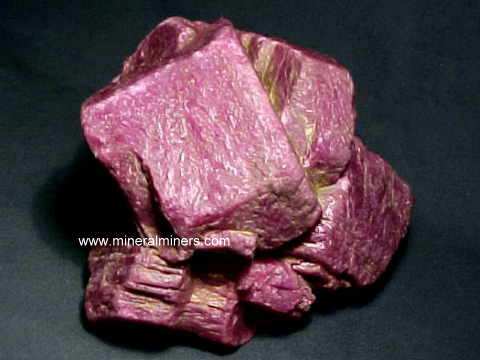 Ruby Crystal Dimensions: 3.25" x 2" x 1.5"
This natural unheated ruby crystal is 3.25 inches long. 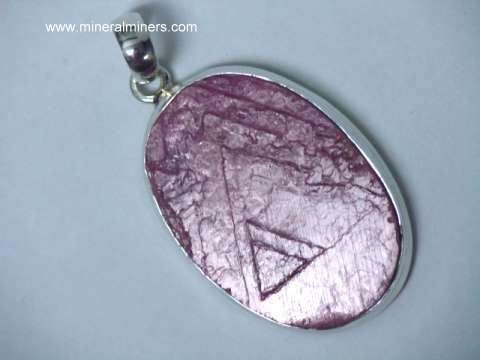 It has rich purplish-red natural color with cabochon grade translucency and hexagonal form that tapers towards one end. The photo at left was taken under incandescent light. Large Ruby Crystal, 2875 carats! This natural unheated ruby crystal has rich purplish-red natural color and superior cabochon gem grade translucency with hexagonal prismatic form. This unique ruby crystal is completely natural - just as it was found in the earth! 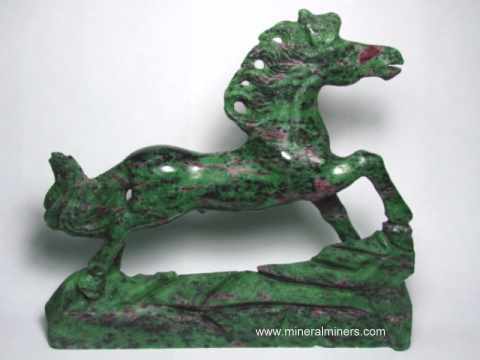 See an opposite side view of this amazing collector quality ruby crystal. Ruby Crystal Dimensions: 5.5" x 4.3" x 3.0"
This giant size untreated ruby crystal weighs 5.4 pounds! See a view of this large ruby crystal standing upright. 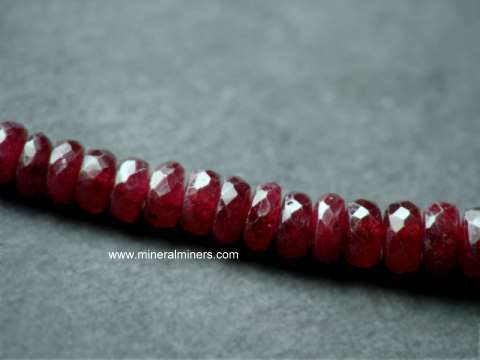 This genuine ruby specimen is completely natural and has rich purplish-red natural color with cabochon grade translucency and hexagonal form that tapers towards each end giving this rare size ruby crystal a barrel-like shape. 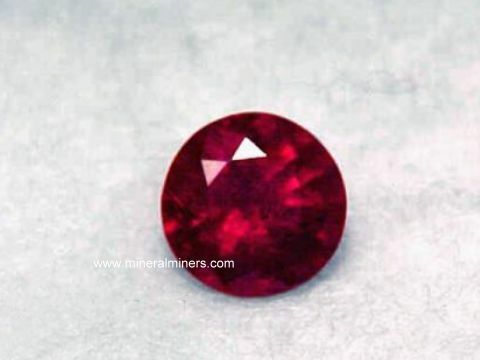 See an end-view photo of this natural ruby crystal showing the hexagonal form. These photos were taken under incandescent light. 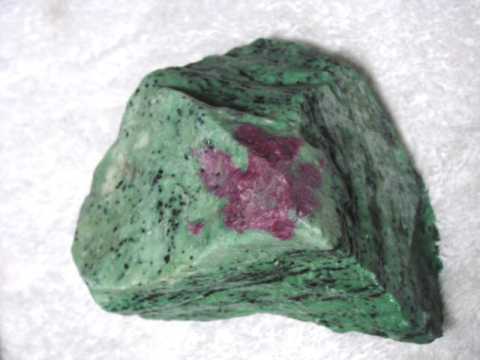 See also a back-view of this natural ruby crystal. Giant Tabular Ruby Crystal, 4725 carats! 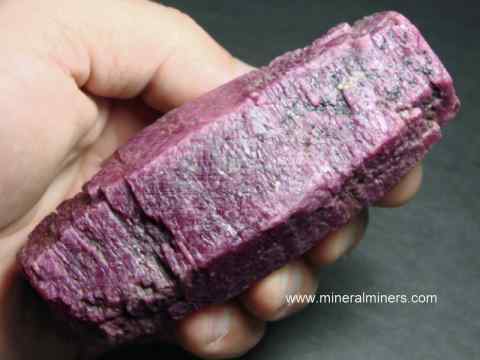 This natural unheated ruby crystal weighs over 2 pounds! 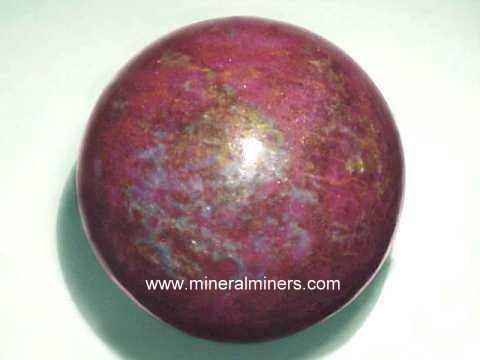 It has rich purplish-red natural color and cabochon gem grade translucency with tabular hexagonal form. The upper and lower terminations are very good overall condition. This unique ruby crystal is completely natural - just as it was found in the earth! 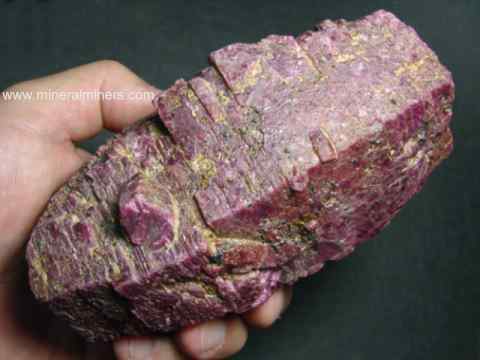 See an opposite side view of this collector quality natural ruby mineral specimen. Ruby Crystal Dimensions: 6.1" x 3.3" x 2.8"
Ruby Crystal Dimensions: 1.7" x 1.25" x 0.9"
This natural unheated ruby crystal has rich purplish-red natural color with fine cabochon gem grade translucency and hexagonal tabular crystal form. Ruby Crystal Dimensions: 2.3" x 2.2" x 1.9"
This natural unheated ruby crystal has rich purplish-red natural color with superior cabochon gem grade translucency and hexagonal crystal form that tapers towards each end. 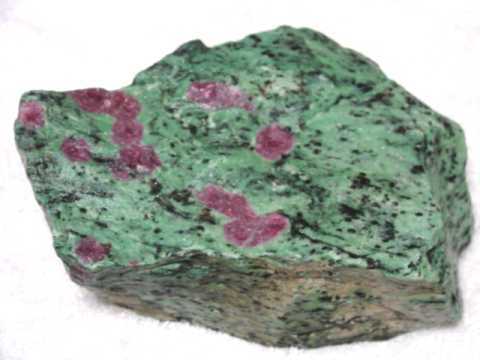 See also an opposite side view of this natural ruby crystal. 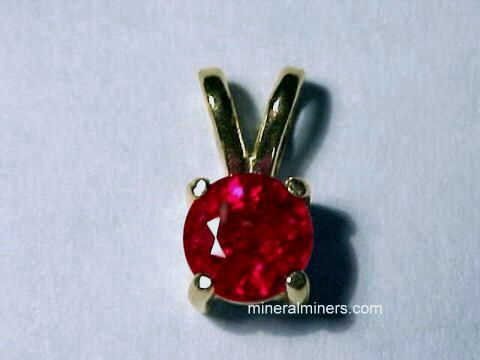 Ruby Crystal Dimensions: 3.1" x 2.3" x 2.0"
Our Quality Ruby Collector Items are all genuine rubies! 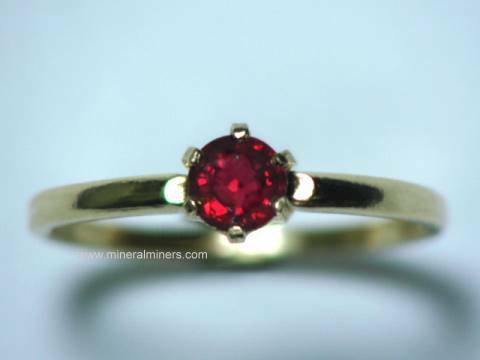 See our genuine ruby rings and ruby necklaces. 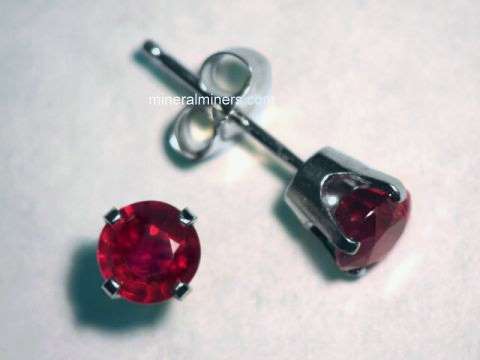 We also offer solid 14k gold stud ruby earrings. 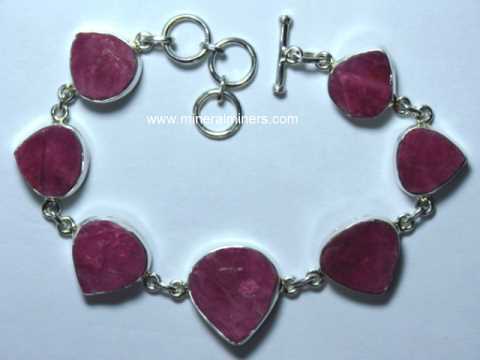 We have a separate page displaying all of our genuine Ruby Jewelry designs. 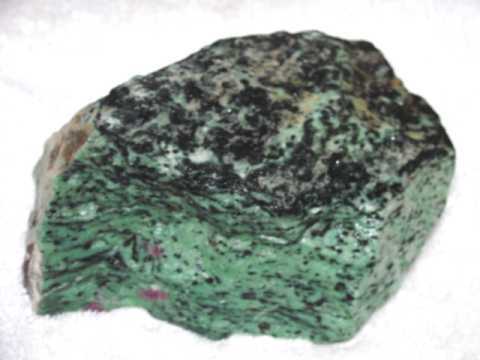 Would you like us to inform you when we add on this page more natural ruby gems, mineral specimens and crystals, and genuine ruby jewelry items? We have a large inventory of natural ametrine items in stock, so be sure to let us know if you have any natural ruby special requests.